The personal loans market, despite being a relevant one, has been facing significant challenges and changes during the last couple of years. On the one hand, many individuals face trouble in having access to credit lines, as well as they are often subject to high interest rates. On the other, banks have to maintain an expensive and time consuming structure in order to be able to sell, manage, and recover outstanding payments from its clients. The high interest rates are a result of the combination of default risks, expensive transaction costs and the lack of a solution that is able to properly address those issues. A platform that allows financial institutions to integrate their systems with payroll information of entities, providing access to a new risk assessment tool, as well as the possibility of the deducting the installments directly from one’s salary. 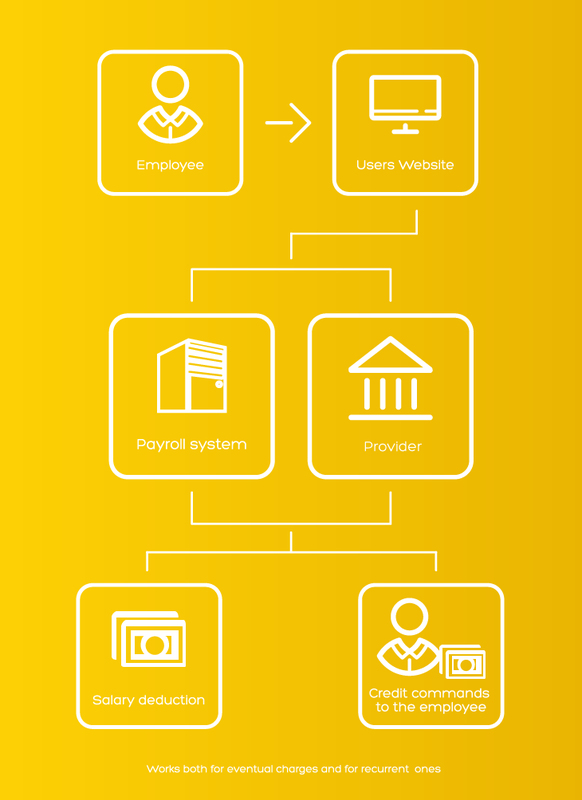 Besides, trough our commercial and technical teams – involved in integrating public and private entities’ payroll systems with the platform – we provide an easy and convenient commercial channel for the financial institutions to reach a large amount of potential clients, without the need of an expensive sales effort (usually directed on an individual basis approach). All of these create a win-win environment, which reduces the transaction costs and assures the feasibility of a sustainable personal loan credit line. Employed individuals are the key element of this business model. Through our platform, financial institutions can have easy access to them, as well as they are able to deduct eventual installments directly from their payroll, without bureaucracy or significant costs. This model is particularly interesting for individuals who have difficult access to credit lines, or those who already have relevant burden, and need to find an alternative credit to consolidate their debts at a lower cost.